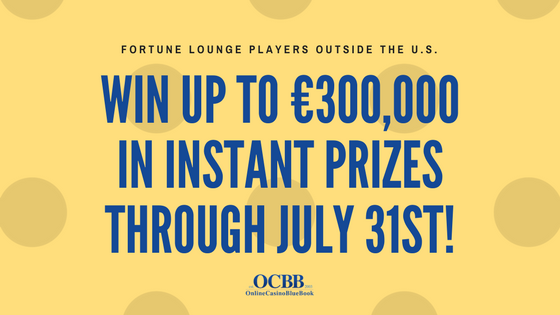 Fortune Lounge Players can Win up to €300,000 in Instant Prizes through July 31st! Attention all Fortune Lounge Players outside of the U.S.! 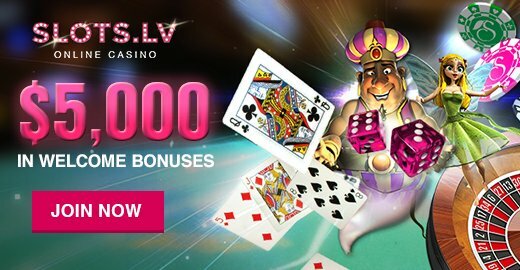 The Destination Vegas player promotion ends on July 31st. All players can win up to €300,000 in casino prizes. Destination Vegas is July’s player promotion is available to everyone who participates in the Fortune Lounge Online Casino. In July players will automatically be entered to win prizes by playing their favorite games. Rewards are earned by wagering on any games in the casino. The Rewards Points accumulate and the Vegas 3 Reel Slot is unlocked for players. The grand prize of this game is €300,000 in instant casino prizes. Points accumulate for this promotion in July only. The Destination Vegas promotion includes an exciting trip prize to Las Vegas. The giveaway includes all expenses paid packages to Las Vegas! The winners of the travel packages to Vegas will receive prizes valued at over €6,500. The Las Vegas prize travel package includes flights, three nights hotel, food, beverages, fun activities and even airport transfers. The Destination Vegas player promotion is not to be missed and only available for a limited time. Start racking up your player rewards at Fortune Lounge, today!